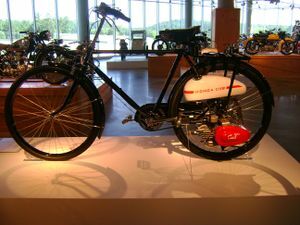 Honda has been building versions of the Cub, a small step-through framed motorcycle with a horizontal 4-stroke single-cylinder engine since 1958. 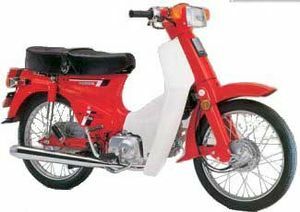 Before then Honda sometimes used the cub designation on converted power bicycles which it produced the engine for. In 2008, Honda announced production of the Cub had reached an amazing 60 MILLION units! Pages in category "Honda Cub motorcycles"